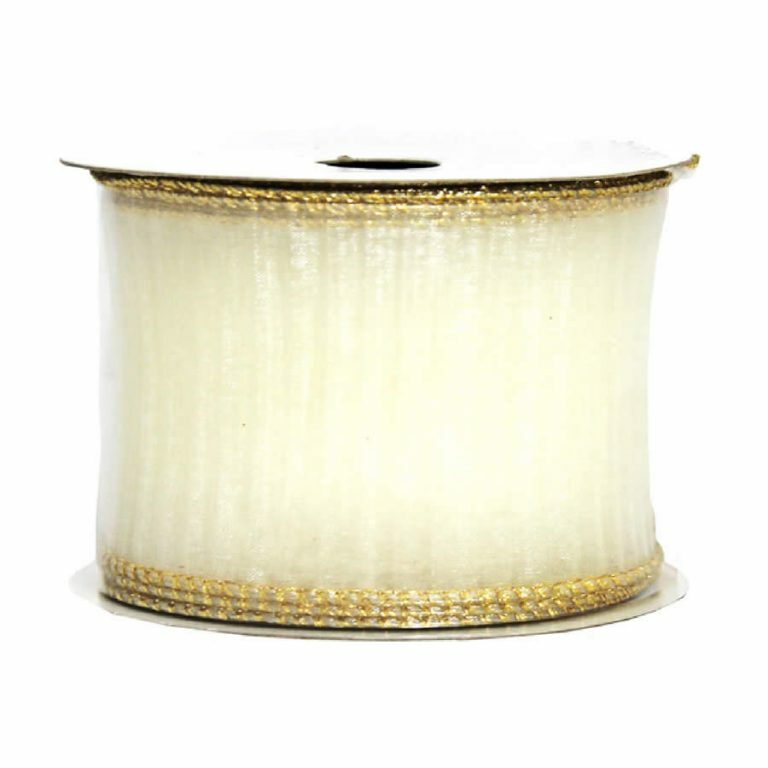 You won’t have to decide between gold and silver accents this year when you purchase this Gold & Silver Leaf Ivory Taffeta Ribbon- it captures both perfectly! Each 9-metre roll of ribbon is plenty to accent a wreath, a centrepiece, your gifts, and even your family’s holiday tree! 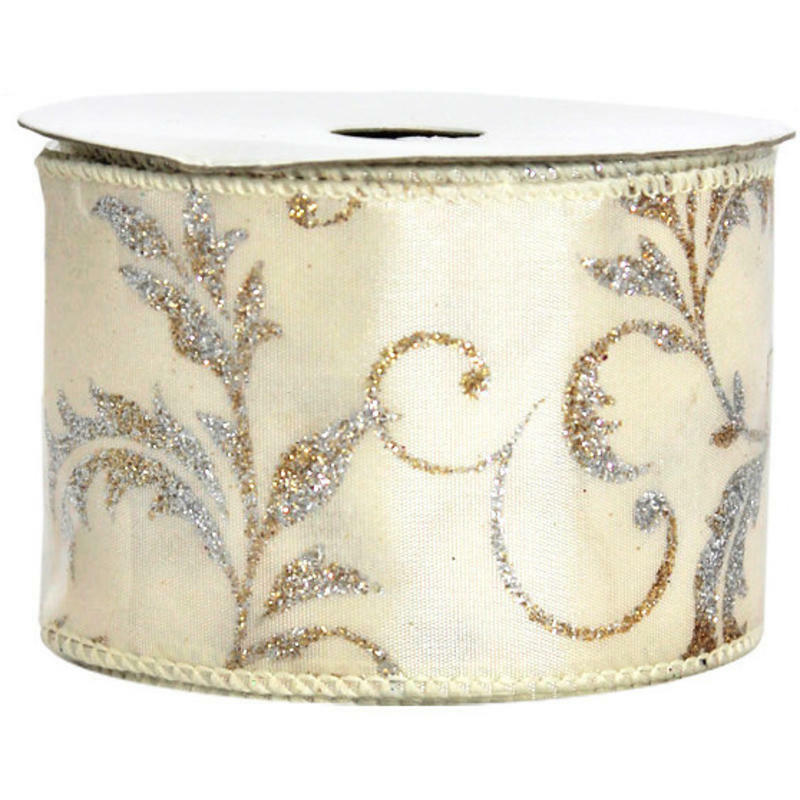 This ribbon is an amazing 7cm wide so it creates full and lovely accents for your party, holiday, and table. 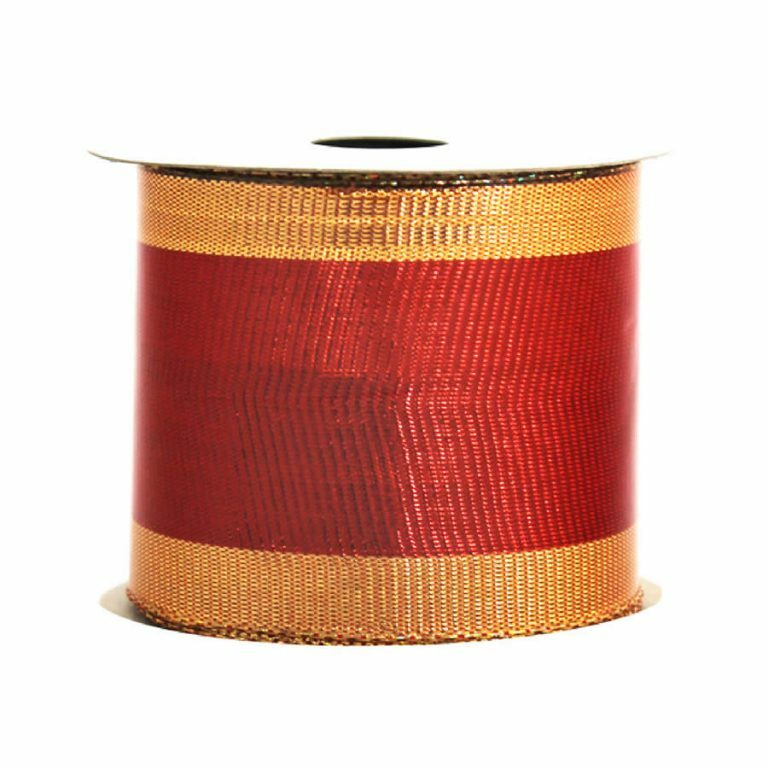 Try using this quality ribbon and you may never go back to regular ribbon again. The wire edging makes it easy and fast to craft bows and trims that are exactly the way you want them to be. They will look great, and last longer due to this supportive wire trim. 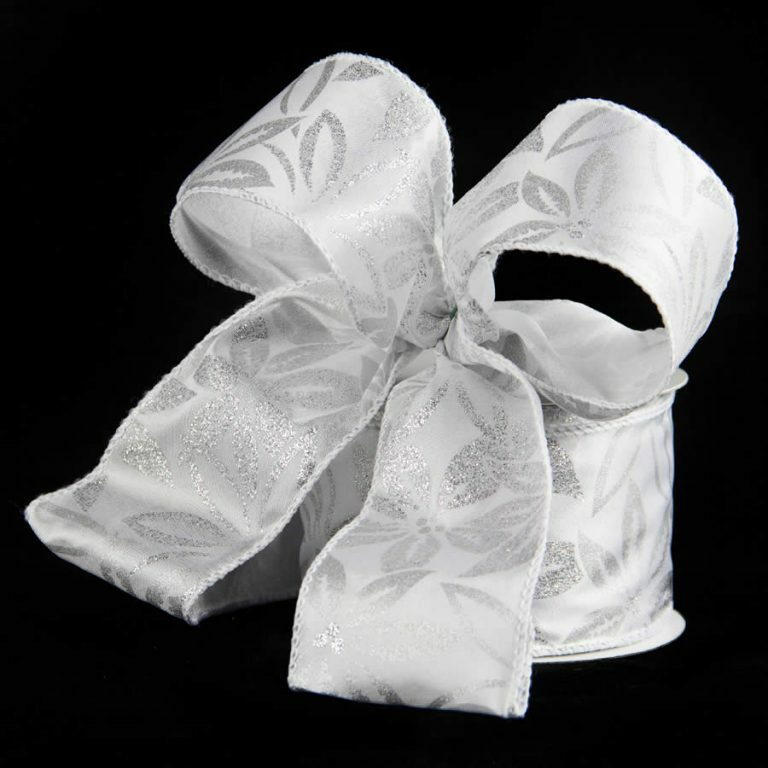 Each sheer ivory ribbon length has delicate gold and silver glittered accents that replicate the look of graceful leaves entwining across the facade. Stunning!